Huawei has officially announced its 10.1-inch tablet, which was earlier rumored to be unveiled at MWC 2016, Barcelona. Dubbed as Huawei MediaPad T2 10.0 Pro, this mid-range tablet features a WUXGA IPS display, an Octa-Core Qualcomm Snapdragon 616 SoC processor with Adreno 405 GPU. The basic model comes with 2 GB of RAM and 16 GB of storage, whereas the more premium model houses a 3 GB RAM and 32 GB of internal storage out of the box. As for its camera, an 8MP auto focus with LED flash decorates its rear, and the front-facing snapper is that of 2 MP. The device runs on Android 5.1 (Lollipop) with Emotion UI 3.1 on top. 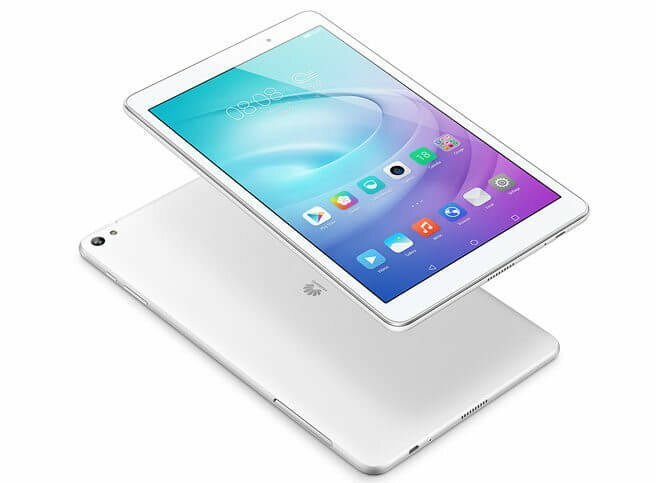 On its connectivity front, Huawei MediaPad T2 10.0 Pro tablet supports 4G LTE (optional), Wi-Fi 802.11 ac/a/b/g/n (2.4 GHz & 5 GHz), Bluetooth 4.1, GPS / aGPS. A whopping 6660mAh battery charges the device. There are two color variants available for MediaPad T2 10.0 Pro – black and white. Although the device is made official, the pricing and availability details are unknown. 1 inch?? Wow even smaller than a matchbox! Outdated specs. Adreno 405 is such a pathetic GPU for handling 1080p resolution.